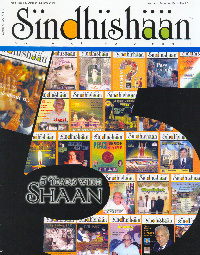 Thank you for publishing my article in your beautiful magazine “Sindhishaan”. Honestly I am not a literary person nor have studied many scriptures but sometimes it comes from inside to write something. Recently, I was talking to my childhood Muslim friend in Dallas (Texas) who was expressing his concern over the mess in this world in the name of religion. He was telling me he cannot find anything in Quran which suggests hate or violence. He was suggesting that this is basically a war of Economics in the guise of religion. People are misinterpreting teachings of Islam. In this connection I also found something from quotes of Swami Rama Krishna Paramhansa. I hope everything is fine there.